High Mountain tea is a special category of oolong teas that grow in Taiwan. Made up of a complete stem of tea, including a bud and the 2 or 3 following leaves, this is a delicate tea that may be rolled or twisted into its final shape. What makes this tea unique? Grown at high altitudes, this semi-oxidized tea is produced in the mountainous region of central Taiwan with each garden imparting its own particular flavor filled with floral notes and sweet undertone. Rich in antioxidants, a cup of this tea on a daily basis may provide you with a variety of health benefits along with a flavorful drink. Come and let’s have a cup of oolong tea! What is High Mountain Tea? High Mountain tea (Gao Shan Cha or Gaoshan in Chinese) is the name given to all semi-oxidized teas grown in the mountain ranges in central in Taiwan, particularly in tea gardens that are located above 800-1000 meters in altitude above sea level or higher. Tea grown in these high altitudes benefits from higher humidity and rain but less sunlight and therefore it grows slowly. The sloping landscape also makes for harder tea farming conditions and low production. The resulting tea is fleshy, juicy, and rich; filled with distinctive and bold floral aromas and flavors, and much higher quality than tea grown at lower altitudes. High Mountain oolong tea plants were first brought over from mainland China to Taiwan during the 17th century by Chinese settlers that brought also their knowledge about producing high quality oolong teas. Today these are considered by tea connoisseurs as some of the best oolong teas around. Although you may find them growing now in Thailand and Vietnam, quality is lower and so also much cheaper. High Mountain tea is a semi-oxidized tea, usually to lower levels of oxidation: 12% to 15% and very lightly roasted, making this tea closer to a green tea than a black tea, but these levels may vary from tea garden to tea garden. Harvesting: This oolong tea is typically made of complete stems that contain 3 to 4 leaves handpicked from the end of the branch. This fact also reduces the production yield from each bush, making these teas even rarer. Withering: Once harvested, leaves are spread in sunlight to wither gaining wonderful floral aromas of rose or jasmine. Rolling / Shaping: The tea is then shaken, rolled and folded to begin oxidation and to shape the leaves. This low oxidation level is enough to eliminate some of the harsher and grassier elements that you generally find in green teas. Firing: Once shaped into pearls or strips, these teas are subjected to high temperatures, or firing, to stop the oxidation process. 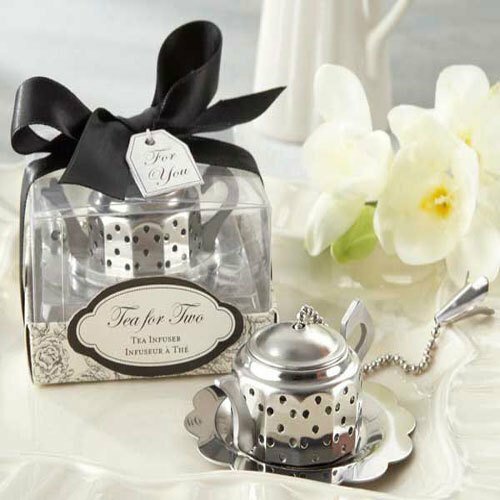 Tea leaves may still be roasted, but only slightly to enhance the floral flavor and aroma profile of tea. The end result is an amazing tea with a great floral and naturally sweet flavor with a lingering aftertaste that will not let you forget this tea. Ali Shan /Ali Mountain: the most common of all High Mountain teas; Alishan tea gardens are located at 1000m to 1500m in altitude. Check out more information about this particular tea here. Ali Shan LuZhu and Shan Ling Xi: tea plantations are located at 1600m in altitude. These forested regions with rainfall the year-round produce teas with a clear taste and very little astringency. Li Shan /Pear Mountain: tea gardens may be located at altitudes over 2000m. Great teas with fruity notes are produced due to the consistently cool temperatures at this altitude range. Da Yun Ling Mountain: premium tea grows in altitudes over 2500m. Typical Da Yun Ling tea is a green oolong with minimal processing resulting in a sweet clean but distinct flavor. Spring harvest: takes place in June beginning the harvest year with a vigorous tea after the winter dormancy. This tea is more robust and a unique floral character. Winter harvest: takes place in late October and ends the harvesting year with the final crop that yields a crisper and lighter tea. Like all oolong teas, High Mountain tea is rich in antioxidants, polyphenols, vitamins A, C and E, as well as minerals, making this a healthy beverage for you. Drinking teas such as High Mountain oolong tea may help to improve your digestion by stimulating your metabolism. Antioxidants and caffeine in tea help the stomach to work better and break down foods faster. Achieving a healthy digestive metabolism with a daily cup of tea may reduce acidity in the stomach that leads to indigestion, stomach cramps and painful intestinal issues. This oolong tea may also help your body to get rid of unwanted wastes and fats at a faster rate and thus lead to weight loss. Complement drinking tea with a healthy diet and daily exercise to help you achieve your weight goals faster. High Mountain oolong tea is a source of antioxidants and polyphenols which may help reduce bad (LDL) cholesterol deposits in your blood vessels and forming of blood clots. A daily cup of unsweetened tea may help reduce the risk of heart disease and stroke. It may help to regulate your blood pressure and balance blood sugar, which may ward off diabetes or complement your diabetes treatment. This oolong tea may help to build your immune system by fighting bacteria, viruses and microbes that cause inflammation and infection. A daily cup of tea may help your body to build up its defenses and at the same time it may speed up recovery time when you get ill.
High Mountain tea is rich in antioxidants and vitamins that facilitate the elimination of toxic elements in your system. It starts working the moment it enters your body, for example, eliminating bacteria that cause bad breath. High Mountain oolong tea is at the same time relaxing and stimulating and this is because it contains both caffeine and an amino acid called L-Theanine. While caffeine in tea helps you to stay alert, focused and energized, improving memory function, L-Theanine helps to reduce anxiety and stress, calming the nerves, allowing you to stay alert but focused. Oolong teas such as this one are rich in antioxidants. These elements may help to eliminate toxins known as free radicals that occur in your body through stress and environmental pollution. Free radicals are responsible for premature aging and sometimes even the occurrence and spreading of tumors. Drinking tea may help rejuvenate your skin by ridding your body of free radicals and keeping it hydrated. At the same time, it works internally to prevent calcium loss in bones and teeth that lead to osteoporosis, a disease that tends to occur as you age, and results in weak and brittle bones. 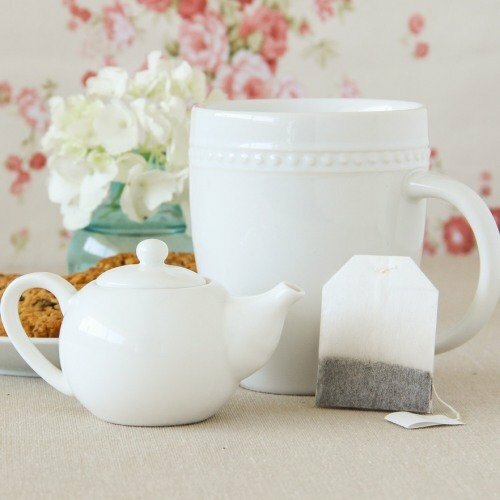 This rich and nutritious tea may be the perfect beverage to accompany you every day. Learn more about the general oolong tea benefits here and see what High Mountain tea has in common with other oolong teas. High Mountain tea is an oolong tea with caffeine, like all other oolongs and any other type of tea that comes from the tea bush. This tea contains a moderate level of caffeine. Caffeine is affected by soil conditions, production process and oxidation level. However, this is mainly due to the fact that this tea is made up of the bud and 2 or 3 leaves on the same stem. Since caffeine is mainly stored in young buds and top leaves as a means of protection against predatory insects, larger leaves down the stem contain less caffeine. Therefore a blend of young and old leaves reduces the total amount of caffeine per cup. If you are sensitive to caffeine you may experience agitation, headaches, difficulty sleeping and in more severe cases even heart palpitations, insomnia and stomach problems. If you are pregnant or breastfeeding, follow the advice of your doctor as to how much caffeine you may ingest per day. Moderation may be important if caffeine affects you. Find the right balance for you and enjoy your tea earlier in the day if it affects your sleep. This particular type of oolong tea has a wonderful flowery sweet taste and to enjoy it at its best let’s take a look at how to brew High Mountain tea. Accompanying dishes: milky desserts or dried fruits. Brewing High Mountain tea in the western way requires a regular porcelain teapot and nice cups, preferably white so that you may properly see the color of your tea. If you choose to brew this tea in the Chinese Gongfu way, then it is best brewed in a small clay Yixing teapot or using a gaiwan, a Chinese teacup with lid. Place in your teapot 1 to 2 teaspoons of tea per cup (250ml) of water. You may adjust this amount to your liking but keep in mind that too little with give a flavorless tea and too much may render a tea too bitter for you to drink. In the Chinese way, the amount of tea to water is much higher, with about 2 teaspoons per 85ml (approx. 3oz). Heat water to a temperature of 90ºC to 100ºC (194ºF to 212ºF), which is boiling or just under boiling temperature. First pour hot water over your tea leaves, and quickly discard this water. It is intended to help rinse the leaves of any remaining dust and also to help the leaves to open. If you are brewing your High Mountain tea according to western tradition then you should let your tea steep from 3 to 5 minutes, adding 30 seconds for each subsequent brew. According to the Gongfu way, this tea should be brewed for a short period of time, from 30 seconds to 1 minute in the first and second brew and then adding 15 seconds to each brew. The higher leave to water ratio requires less steeping time. When serving this tea make sure to pour all of the tea into the tea cups so that the leaves stop brewing and may be reinfused as many as 6 times maintaining much of their wonderful flavor. A High Mountain tea brews a bright straw yellow colored infusion. It has a fragrant flowery aroma that is fresh and sometimes it may even feel fruity. Take a sip of this tea and feel its buttery notes that blend fruit and flower into one. You may feel a slight bitterness when drinking this tea, but at the same time experience a naturally sweet and lasting aftertaste. A good high quality High Mountain tea is a wonderful and unique beverage so try to drink it unsweetened, without lemon or milk so you may fully enjoy its true flavor. Store your tea in an airtight container away from light and humidity and your tea will last longer while keeping its original properties. Buy Your High Mountain Tea Today! 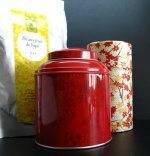 Click on the image or on the link below to purchase from Tea Vivre your Ali Shan Tea . Ali Shan is a great example of a great quality High Mountain tea and a perfect way to savor a tea from this region. The naturally sweet aftertaste of this ali shan is ideal if you are looking for something that does not require sugar and still satisfy your craving for something sweet. This fine autumn flush tea from Taiwan is milky, buttery and floral with a moderate level of caffeine. High Mountain tea is amazing and rich. Full of flavors and health benefits, this Taiwanese oolong tea is worth your appreciation. Now come and enjoy a good cup of tea! Let this be your right tea.